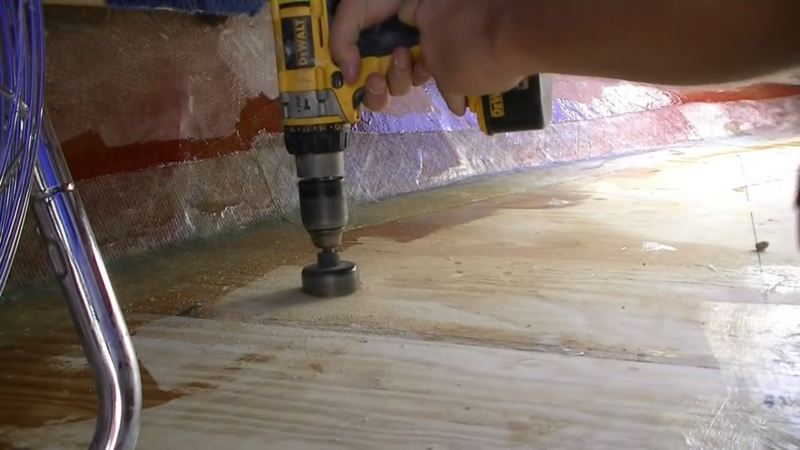 In this video, we are shown an alternative method of creating insulation and emergency buoyancy below a deck. 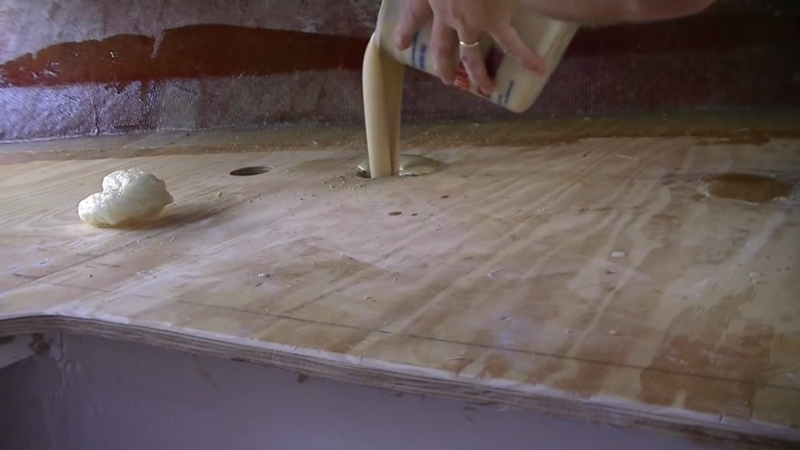 Using a hole saw and drill it is possible to fill areas with a 2 part expanding foam. 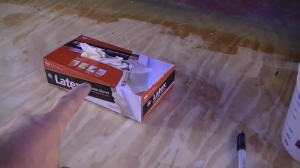 It may seem painful to cut holes in a deck that has recently been fiberglassed: however, this method allows the closed cell foam to be added at any stage. This method will only provide buoyancy in an emergency if a boat is capsized, sinking and taking on water. Care should be taken when using a hole saw not to go through the underlying fibreglass and damage the hull of the boat. 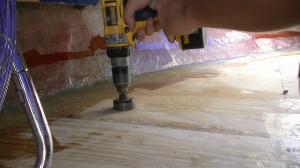 Notably, this video mentions the importance of drilling the holes nearer to the top of the slope so that the foam runs down and expands upwards towards the entry point. Always use closed cell foam when building or renovating boats other foam can take on water over time and therefore loses buoyancy. 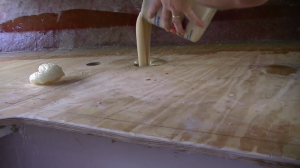 The forces generated by the expanding foam can be very great. I would not use this product on my boat.